In the name of the St. Mary’s Seminary & University community, I would like to extend to you our warmest Easter greetings. May the Risen Lord shed his Light upon you and your loved ones. May his gift of Eternal Life be yours forever. Fr. Phillip J. Brown, P.S.S. 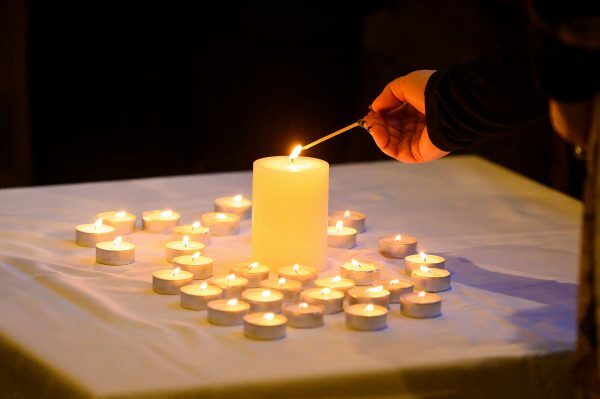 Since 1985, St. Mary’s Seminary & University has held a yearly Yom HaShoah service. This year’s Holocaust service focused on justice and accountability, which has been an important theme at St. Mary’s throughout this academic year. 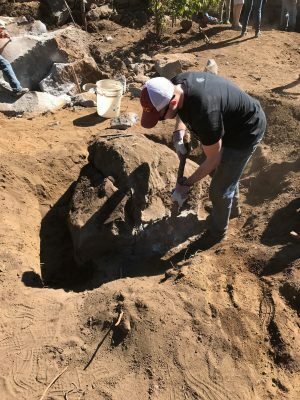 Students from both the Ecumenical Institute and the School of Theology—including Mark DeCelles, Marton Lonart, James Holman, Evan Ponton, and Patty Ruppert—planned the event. The service was patterned around the lighting of the St. Mary’s Yom HaShoah menorah candles. The prayer service included a reading from Dietrich Bonhoeffer, several psalms of lament, prayers, and memoirs shared by seminarian Marton Lonart from an interview with his grandmother, a Holocaust survivor. As the service concluded, participants were invited to light their own candles from the menorah as a sign of their commitment to never forgot and to advocate for the vulnerable among us. 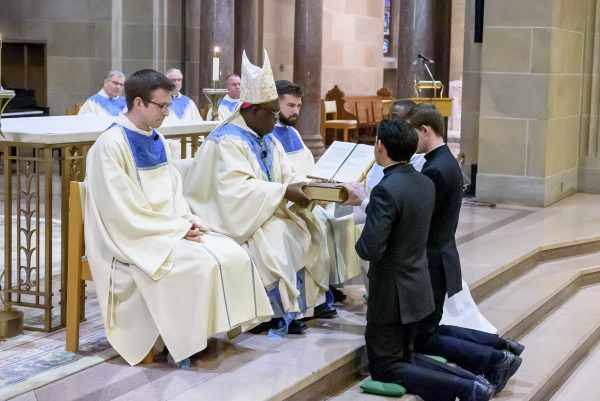 On Thursday, February 7th, 2019, fourteen seminarians from the Archdiocese of Baltimore and the Dioceses of Albany, Erie, Harrisburg, Paterson, Scranton and Worcester were installed in the Ministry of Lector. 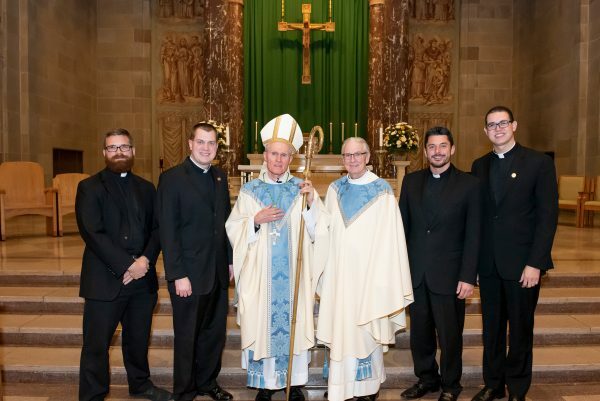 Seven seminarians from the Archdiocese of Baltimore and the Dioceses of Altoona-Johnstown, Syracuse and Wilmington were installed in the Ministry of Acolyte. Bishop Charles Kasonde, Bishop of Solwezi, Zambia and an STL graduate of St. Mary’s Seminary & University presided. Lectors proclaim the Scriptures at liturgical celebrations and serve as catechists; acolytes serve at Eucharistic celebrations and bring the Eucharist to the sick. 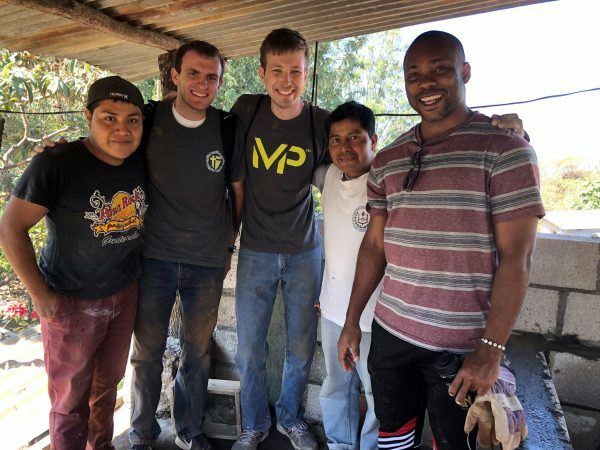 After an incredible trip getting to know the people of Guatemala and having profound epiphanies which have truly helped form them to be better disciples of Christ, the group of seminarians who traveled on mission have returned to Baltimore. 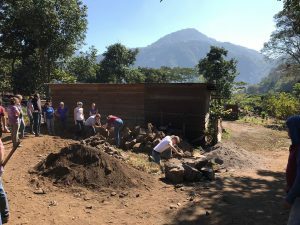 We give thanks to all who made this trip possible. Reflections and highlights of the trip are posted below. 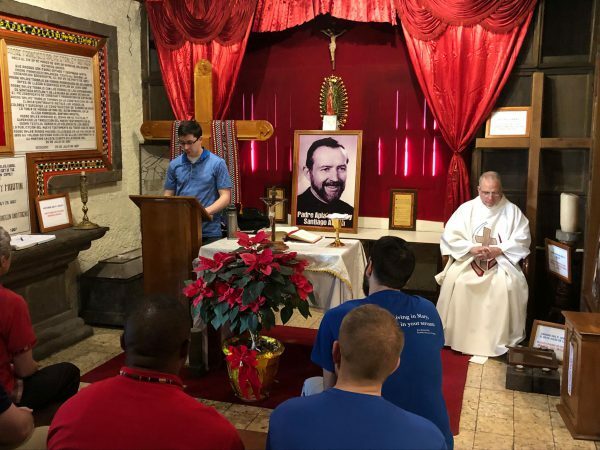 The men on mission in Guatemala had mass in the room where Bl. Fr. Stanley Rother was martyred. 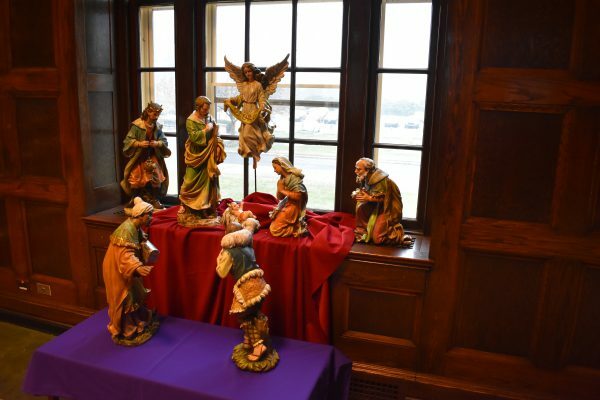 The mass on the feast of the Holy Family was celebrated by Fr. Paul Maillet, PSS. In this photo, Brennan Ferris (Wilmington) is reading the second reading. Bl. Fr. Stanley Rother, pray for us! 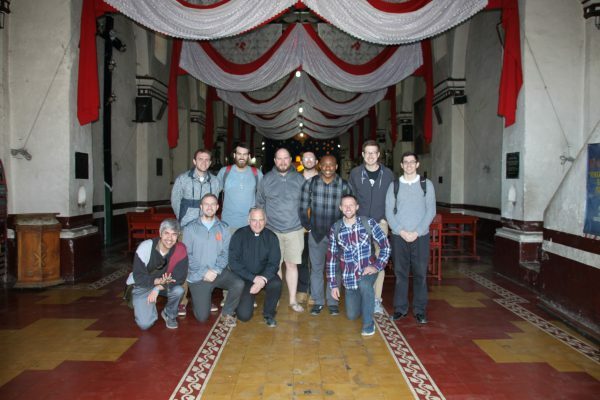 Please pray for these seminarians and Fr. 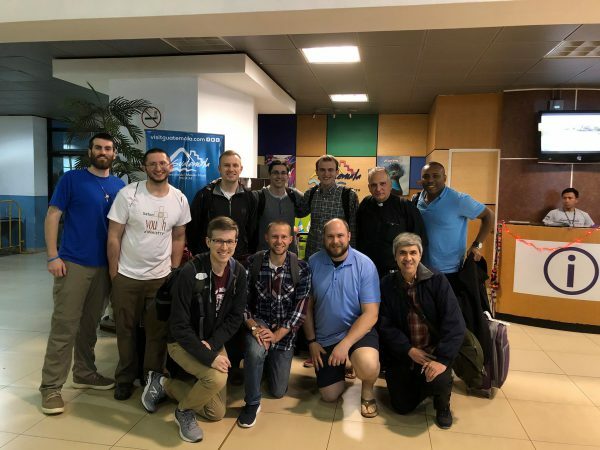 Paul Maillet, PSS as they departed for their week long mission trip, December 29-January 5, serving and encountering the people of San Lucas, Guatemala! 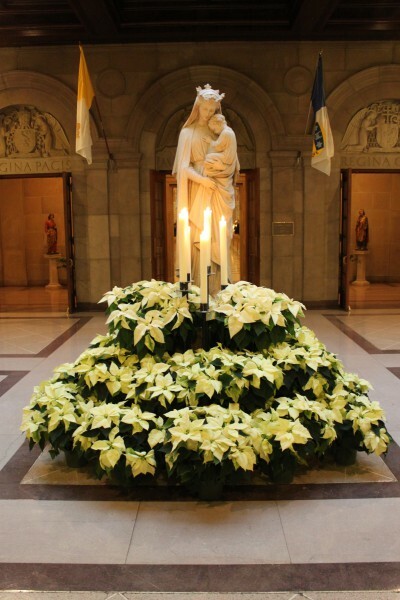 A blessed Christmas and joyful New Year to all from the St. Mary’s Seminary & University Community. On Thursday, November 15, 2018, four seminarians – Evan Ponton and Zachary Crowley of the Archdiocese of Baltimore; Thomas Lanza of the Diocese of Metuchen; and Thiago Da Silva of the Diocese of Worcester were admitted into Candidacy by the Most Reverend Mark Brennan, Auxiliary Bishop of the Archdiocese of Baltimore. Candidacy is a liturgical rite of admission requested by a seminarian of his own Ordinary, which formally acknowledges and enrolls him as a candidate for Sacred Orders. Congratulations! The St. Mary’s Seminary & University Community grieves the loss of life and injuries inflicted at the Tree of Life Synagogue in Pittsburgh, Pennsylvania last Saturday. Our hearts and our prayers go out to the families and friends of the victims. We weep with you and we share with you, as we are able, the pain of this loss and outrage over the kind of malicious violence this act represents. We decry every form of antisemitism and the kinds of violence, unkindness, and cruelty it inevitably leads to. Our faith and the people who we are compel us to express our grief and solidarity with those who are suffering because of this violent act. On Saturday, October 27 a morally deranged, anti-Semitic killer entered the Tree of Life Synagogue in Pittsburgh, Pennsylvania and murdered eleven innocent and vulnerable congregants attending a baby-naming service, and seriously wounded six others. The assailant was eventually taken down by law enforcement officers, though not killed, and will be brought justice. Our thoughts and prayers go out first and foremost to all the victims of the murders and their families and loved ones. We would be at a loss for words in the face of so great a tragedy, of such a heinous crime, if we were not people of the Word whose faith, we believe, is grounded in the very Word of God. And so, as people of the book of the Gospels we hold those who lost their lives and their loved ones in Pittsburgh and all People of the Book, all members of the Jewish community in our hearts at this time and grieve for them and with them. We are deeply conscious of the historic injustices and cruelty that Jews have suffered, often enough at the hands of adherents of our own religious faith, a fact which causes us undying shame. To the extent that the toxic thought processes that fueled the cruelty of the Tree of Life murderer may have been influenced in any way by distorted attitudes toward members of the Jewish community in our own faith traditions, we accept responsibility for such horrific acts and beg forgiveness of the Jewish community and of Almighty God. There is no place in our faiths, as indeed there never should have been, for antisemitism. There is no place in civilized society for antisemitism. There should be no place in humanity for antisemitism. We of St. Mary’s Seminary & University denounce every form of antisemitism and those who adopt such attitudes and the ideas and rhetoric that proceed from them. Indeed, we denounce every form of unkind, cruel, provocative, inciteful and hateful attitudes and rhetoric, which by their nature fuel derangement and the kind of passions which eventually lead to such acts of violence and criminal behavior. As people of the Word we know, as all People of the Book do, that words matter. The words we use matter. The way we speak matters. No one who speaks unkind, cruel, hateful or inciteful words can deny responsibility when acts of violence break out fueled by impassioned, unkind, cruel and hateful speech. As Americans, our Constitution may prohibit criminal prosecution of people for the words they use or other ways they express themselves, but our culture should not tolerate unkind, cruel, hateful and inciteful speech, ideas, and non-verbal forms of expression. We should denounce such speech and forms of expression at every turn, and our common values and commitment to the dignity of every person, as well as our reverence for life itself, should cause us to shun all who propagate hateful ideation though their words and other forms of expression. Our Constitution may require government officials to tolerate many abuses of language and expression that are at the core of cruel and hateful acts, but our culture ought to condemn them and shun those who engage in reckless and dangerous forms of expression that often enough intentionally incite others to acts of violence and cruelty, as well as when unkindness and cruelty are unintentional and things are said or otherwise expressed out of ignorance or simple boorishness. The Tree of Life shooting raises many important issues our society seems unable to address effectively: the proliferation of dangerous weapons and gun violence; our society’s inability and even unwillingness to take effective measures to protect the most vulnerable among us; proposals to turn places of worship and schools into armed camps in the name of protecting the vulnerable, rather than protecting the vulnerable by addressing the root causes of the many acts of violence which have occurred in such places; an increasingly toxic culture that we have allowed to spring up and flourish in the name of a right of freedom of expression, a culture seemingly heedless of the right of all people to live in a society and a culture that is safe; the failure of our culture to sufficiently nurture the very best in us, especially the capacity for kindness and regard and care for others; whether or not state-sponsored killing is the only response we can offer to hold those who kill unlawfully accountable. It is our hope that in time the Tree of Life slayings will, with other recent and not so recent horrific acts of violence, impel all responsible citizens to engage effective means to address these pressing social issues and needs in ways that will make our society safe and our culture kinder and more caring. We encourage all responsible citizens to recognize that we are governed by more than our Constitution, that we are accountable to One who is far greater and far more important than our civil government or our Constitution; we are governed, or ought to be governed, more importantly and more effectively by common moral and social values that seek to protect the vulnerable and provide for a culture and a society in which all can live in peace and safety as brothers and sisters of a common humanity. Over 100 alumni returned to St. Mary’s to celebrated Alumni Days October 17th and 18th. Fr. Phillip Brown gave the homily at Evening Prayer on October 17th (click here to read), and Fr. 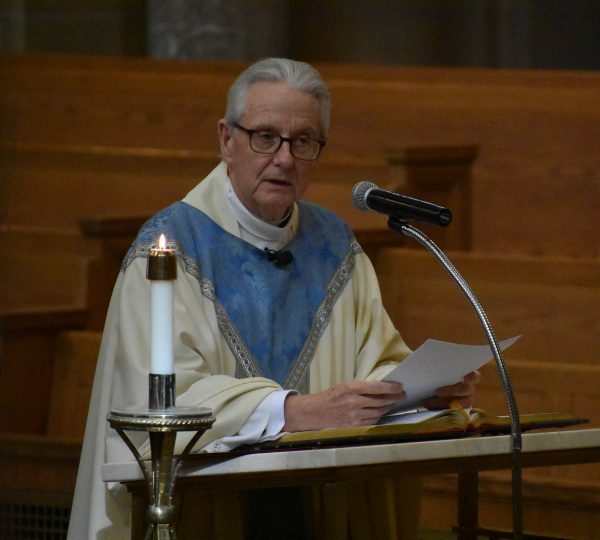 Robert Leavitt, celebrating his 50th anniversary of ordination, was the celebrant and homilist. Fr. Leavitt’s homily emphasized the theme of “The Courage of Reform in the Joy of the Gospel.” (click here to read). Fr. Brown announced a new award in Fr. 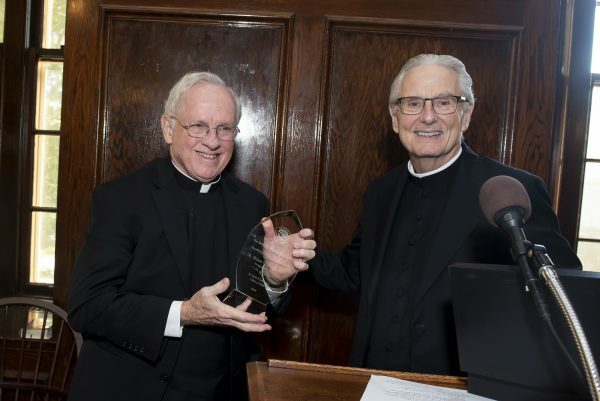 Leavitt’s honor – the Robert F. Leavitt Award for Pastoral Excellence given in recognition of Fr. Leavitt’s commitment to excellence in pastoral leadership as President Rector of St. Mary’s Seminary & University. Fr. Leavitt was named the inaugural recipient. 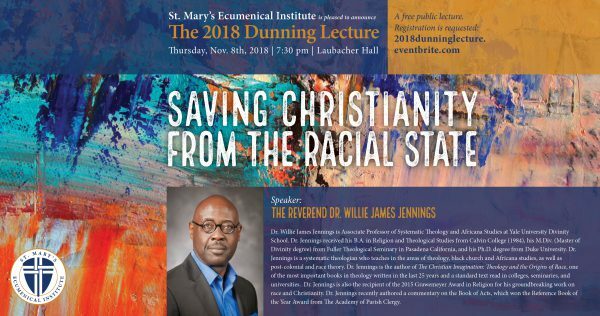 This year’s Dunning Lecture, “Saving Christianity from the Racial State” will be given by Dr. Willie James Jennings on Thursday, November 8, 7:30 pm in Laubacher Hall. Dr. Willie James Jennings is Associate Professor of Systematic Theology and Africana Studies at Yale University Divinity School. Dr. Jennings is a systematic theologian who teaches in the areas of theology, black church and Africana studies, as well as post-colonial and race theory. Dr. Jennings is the author of The Christian Imagination: Theology and the Origins of Race, one of the most important books in theology written in the last 25 years and a standard text read in colleges, seminaries, and universities. Dr. Jennings is also the recipient of the 2015 Grawemeyer Award in Religion for his groundbreaking work on race and Christianity. Dr. Jennings recently authored a commentary on the Book of Acts, which won the Reference Book of the Year Award from The Academy of Parish Clergy. This event is free and open to the public. Registration is requested. Download a flyer for the event here, or contact Rebecca Hancock (410.864.4202) for more information. Most Rev. 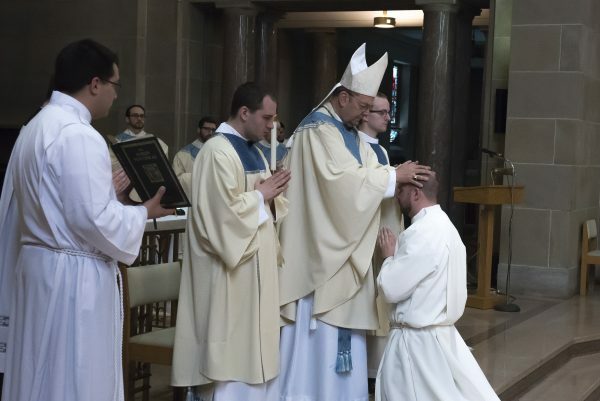 Robert Cunningham, Bishop of Syracuse NY, ordained Nathan Brooks, Diocese of Syracuse, to the Order of Deacon at St. Mary’s Seminary on Saturday, April 21st. Rev. Mr. Nathan Brooks was joined in celebration by Fr. Brown, St. Mary’s faculty members, and many priests of his home diocese of Syracuse as well as the community of St. Mary’s Seminary. Over 100 family and friends traveled to Baltimore for the Liturgy and Celebratory Reception. Rev. 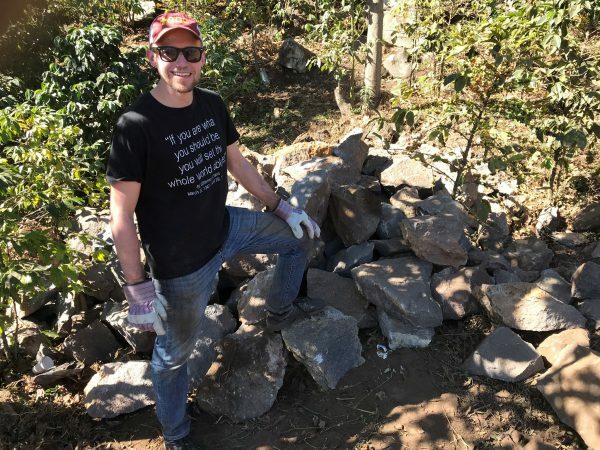 Chris Celentano (SM, Class of 2008), who is Rev. Mr. Brook’s pastor from Syracuse, celebrated the Mass of Thanksgiving for the community on Sunday morning, and Rev. Mr. Brooks preached. For photos of the event, please click on the link to the gallery below.